Q:Is this item available in other colors such as blue? A:These are a stock item which means ready to ship as is. The only color offered is pink. Planning a baby shower? Don't forget the favors, and don't forget the perfect favor box for a baby elephant themed shower! 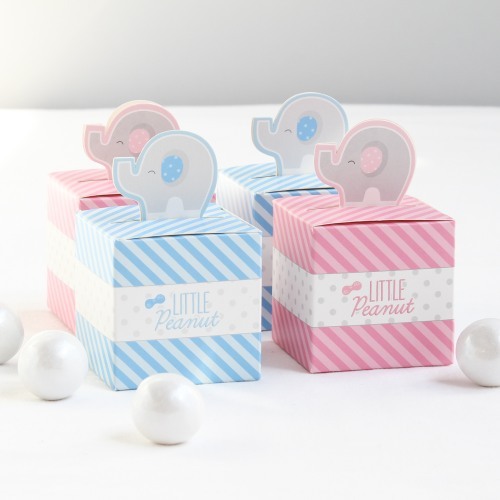 Each box features our "Little Peanut" elephant design. Fill with all kinds of treats, and send guests home with a sweet memento from the event.